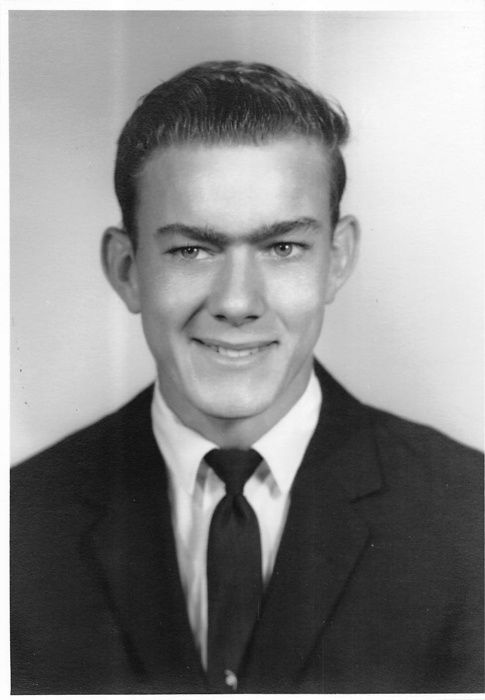 Ray Robert Thomas age 70, of Broken Bow, Oklahoma passed away at Paris Regional Medical Center in Paris, Texas on Monday, February 11, 2019. Ray was a retired logger and an avid outdoorsman. He loved hunting, fishing and spending time with his family and friends, especially his grandchildren. Ray was born on March 8, 1948 the son of Charles and Hazel (Stell) Thomas. He was a 1966 graduate of Broken Bow High School. Ray served in the US Navy abroad the USS Ranger during the Vietnam War. He later moved to Indiana to work in demolition and excavation. It was while living in Indiana that he met his wife, Charlotte (Nicholson) Thomas. They were married in the fall of 1978. The couple moved to Texas that same year, where Ray resumed work in the logging and timber industry. He retired to Oklahoma in 2005. In his retirement, he enjoyed growing a garden, dropping a trot line and hunting deer. He will be remembered by his family and friends for his wit and his ability to hand out nicknames that were both true and funny. Ray is preceded in death by his parents, Charles and Hazel Thomas; sister, Charlene (Thomas) Dale; sister-in-law, Vickie Thomas; brother-in-law, Robert “Bob” Franklin; and nephew, Jeffery Mason. Ray is survived by his wife, Charlotte; daughter, Melissa Thomas and Mark of Broken Bow, Oklahoma; son, Christopher and Misty Nicholson of Indianapolis, Indiana; brother Clayton and Kathryn Thomas of Lake Muraul, Texas, Curtis “Copper” Thomas of Broken Bow, Oklahoma, Rodger Thomas of Quitman, Texas; sister, Phyllis (Thomas) Franklin of Lake Muraul, Texas; three grandchildren, Elijah, Isabella, and Aiden all of Broken Bow, Oklahoma. A multitude of nieces, nephews, cousins and three lifelong friends Calvin Middlebrook, Ronnie Tushka and Jack “Dougie” Hutchison. A visitation will be held on Thursday, February 14, 2019 from 6:00 to 8:00 P.M.at Bunch-Singleton Funeral Home Chapel in Broken Bow, Oklahoma. A Graveside Service will be held Friday, February 15, 2019 at 2:00 P.M. at Hochatown Cemetery with Glen “Red” Dale officiating.